Of the thousands of people who died in B.C. due to the opioid crisis, many victims worked in construction, according to a recent Statistics Canada report. Of the thousands of people who died in B.C. due to the opioid crisis, many victims worked in construction according to a recent Statistics Canada report. The federal agency released a report Thursday examining the demographics and circumstances of the people who died of overdoses between 2011 and 2016 with the goal of creating better interventions for people at risk. In B.C., the majority of overdose victims were men, between the ages of 25 and 54 and about 20 per cent of them worked in the construction industry. 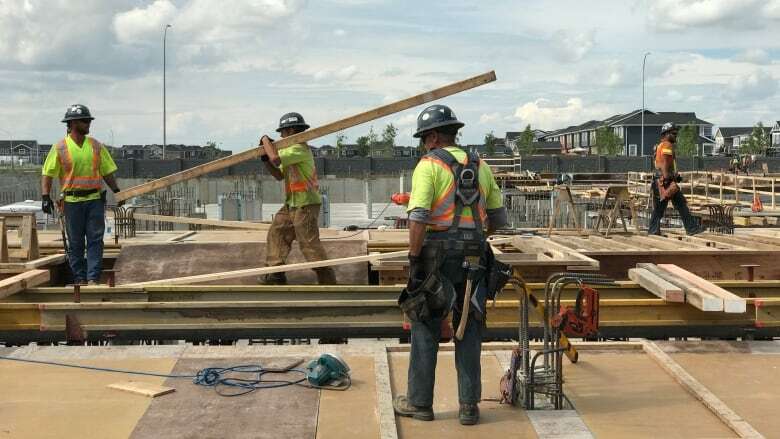 Garth Mullins, a member of the the Vancouver Area Network of Drug Users (VANDU), said construction is a rapidly de-unionizing sector, holds no guarantees for consistent work and rarely provides support for workers beyond the job site. He said many of his past employers in construction would request urine tests and had a zero tolerance policy for drugs, making it hard for workers struggling with addiction to maintain a job. "You can really be just hanging on there, not making very much and you don't know when your next job is going to come," he told All Points West guest host Megan Thomas. "People in the construction industry, for the most part, don't get offered [help]. They basically have to keep their drug use a secret or risk getting fired … or blacklisted. It's a pretty precarious place to be." Chris Atchison, the president and CEO of the B.C. Construction Association, said that projects under his organization are highly regulated and the safety of their workers is a priority. "The word, zero tolerance, does come up, but I would contest that there has been an evolution in the construction industry over the past 20 years to put safety and supports both for workplaces and workers at a paramount," Atchison told All Points West guest host Megan Thomas. He said as a major employer in B.C. they're striving to be leaders and have led a number of courses on worksites to provide naloxone kits and information on addictions counselling. Atchison says the report brands construction as the industry where opioid use is rooted, because 95 per cent of the workforce is male and largely in the 25-54 age demographic. "I would argue it's not just construction, that there are many other industries … being impacted by this," he said. "We desperately want to be part of the solution." Other jobs held by a high percentage of victims include building maintenance, waste management and other support services, accommodation and food services, retail trade, manufacturing, transportation and warehousing. VANDU's Mullins says the stats speak for themselves. "It shows that wherever you are, whether it's a small community on Vancouver Island or a big city, whatever your workplace … there are drug users there," said Mullins.